St Alban's Burial Ground: The burial ground surrounding the church is administered by the St Alban’s Burial Ground Board of Managers. A close worshipping relationship with the Parish of Pauatahanui is required of those to be buried here. Applications through the Parish Office. Pauatahanui Burial Ground: The burial ground between the highway and the driveway is the Pauatahanui Burial Ground and dates back to 1860. This burial ground is now administered by the Porirua City Council. 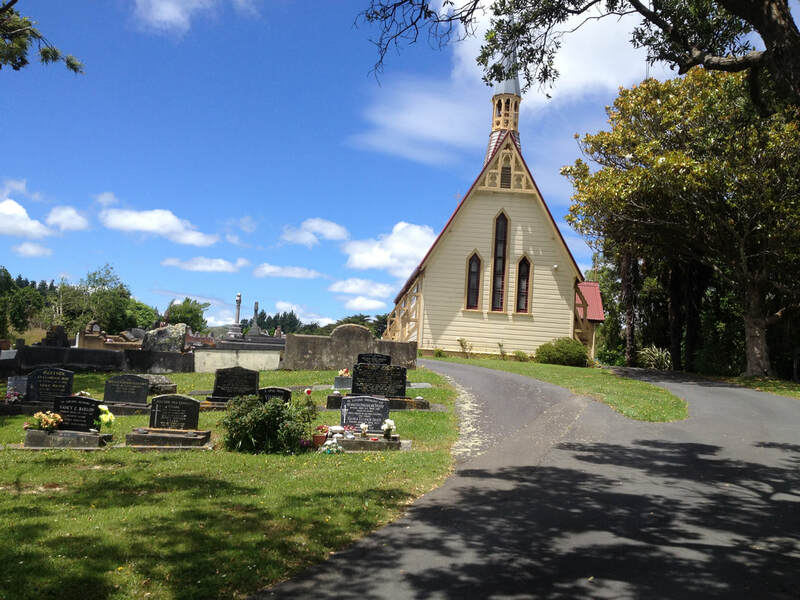 Read more about Pauatahanui Burial Ground and those who are buried there. Here there is a collection of old fashioned roses tended by volunteers. These roses grow among the graves of the early settlers to the area. The early and mid-summer months are when the blooms are at their best. However in the autumn many of the roses have beautiful hips and others throw blooms well into winter.